Trio Mediaeval made its US debut in 2003, performing two sold-out concerts at New Haven's International Festival of Arts and Ideas. Since that first appearance, the trio has embarked on multiple North American tours performing in cities across the continent. Highlights include concerts in New York's Carnegie (Weill) Hall, the Brooklyn Academy of Music, the National Cathedral in Washington D.C., the Kennedy Center, engagements at San Francisco Performances and Spivey Hall, and broadcasts on American Public Media's Saint Paul Sunday and Performance Today. The trio delights in performing new music and collaborates with a multitude of contemporary composers, including Gavin Bryars, Piers Hellawell, Roger Marsh, Ivan Moody, Paul Robinson, Thoma Simaku, Oleh Harkavyy, Bj√∏rn Kruse and Andrew Smith. In 2005, the trio premiered Shelter in Cologne Germany. This joint production of Bang on a Can composers Michael Gordon, Julia Wolf & David Lang, German new music ensemble musikFabrik, and Ridge Theater, received its U.S. premiere at the Brooklyn Academy of Music (BAM). 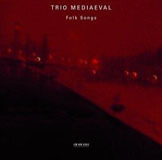 Trio Mediaeval performs throughout Europe, giving concerts and radio broadcasts in Austria, Belgium, Finland, Germany, Ireland, Norway, Spain, Sweden, the Netherlands and the UK in such venues as the Oslo Concert House, the Vienna Konzerthaus, Wigmore Hall and numerous festivals. Their four albums on ECM Records feature pristine performances of a diverse repertoire, and have met with near unanimous praise. Their first release, Words of the Angel, immediately charted on Billboard's Top 10 Bestsellers list and was the April 2002 Stereophile Recording of the Month. Soir, dit-elle (2004), features Leonel Power's Missa Alma Redemptoris Mater along side works by Gavin Bryars, Andrew Smith and Ivan Moody, and met with similar critical and commercial success. 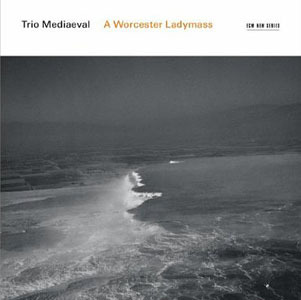 The trio's third recording, Stella Maris (2005), features 12th and 13th-century music from England and France as well as the world premiere recording of Missa Lumen de Lumine by Korean composer Sungji Hong. 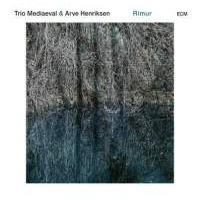 Trio Mediaeval found themselves back on the Billboard charts and with a 2008 Grammy nomination for Best Chamber Music Performance with their most recent release, Folk Songs - an intimate collection of Norwegian folk songs featuring traditional percussion and jew's harp played by Birger Mistereggen. All About Jazz musician pages are maintained by musicians, publicists and trusted members like you. Interested? Tell us why you would like to improve the Trio Mediaeval musician page.